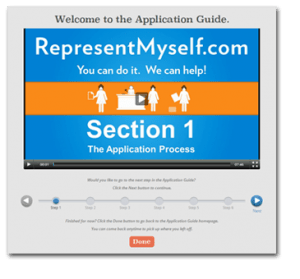 At RepresentMyself.com we have put together a series of step-by-step guides and videos that take you through the entire disability benefits process. 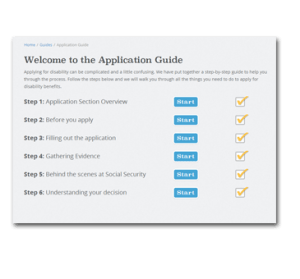 It does not matter if you are applying for the first time, or if you are already scheduled for a disability hearing… we are here to help you get the disability benefits you deserve. Each guide has a series of steps that are easy to follow and easy to track your progress. Each step has a video, simple instructions and supporting forms that you need to complete the step.